Master of French as a Foreign Langage. Master of Modern and Contemporary Philosophy. Oct. 2011-Jul. 2012, Barcelona: Cajón course with Octavio Beltán. Dec. 2011-Jul. 2012, Barcelona: flamenco guitar course with Bernat Jiménez Cisneros. Nov. 2010-May 2011, Granada: flamenco guitar course with Rafael Soler. July 2009, Granada: flamenco guitar course with Marcos Palometas. 1996-1998, Paris: flamenco guitar course with Andrés Serrita. 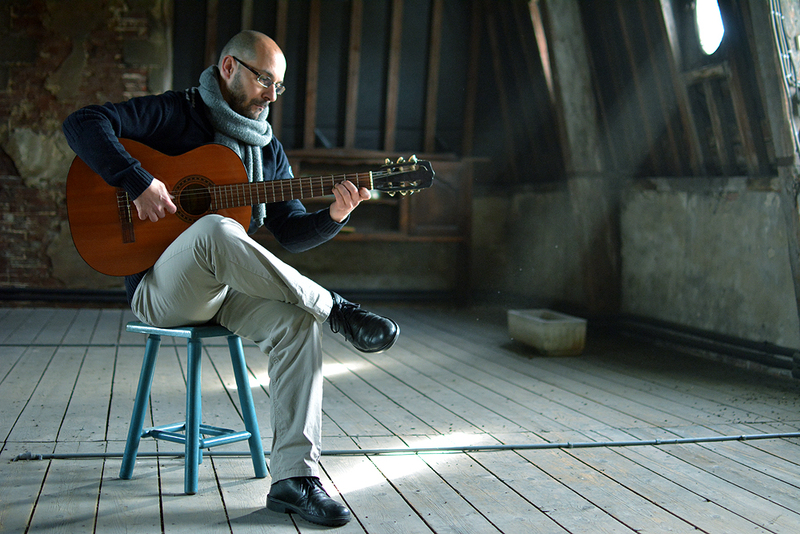 Since 2016 in Lyon: Guitarist of music duet Babel. Since July 2012 in Lyon: Founder of Le Compás dans l’Oeil flamenco collective. Concerts and guitar courses. 2010-July 2012, Granada and Barcelona: accompaniment of flamenco dance and singing. Concerts. 2007-2010, Hong Kong: Member of flamenco fusion band ReOrientate and flamenco band Sol y Flamenco.